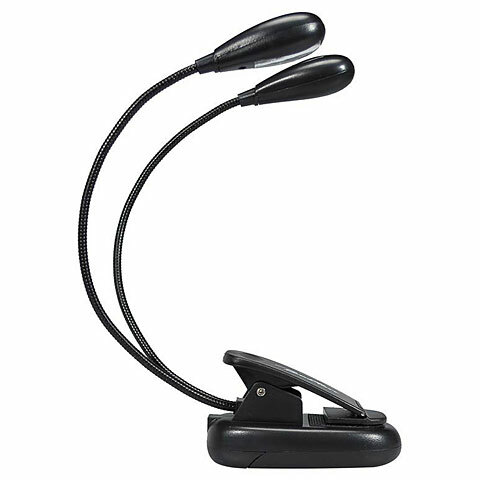 The Note desk lamp Boston MSL-504 provides enough light to illuminate 2 DIN A4 music sheets. 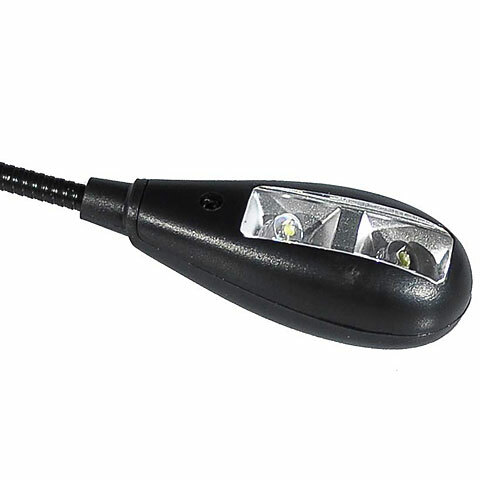 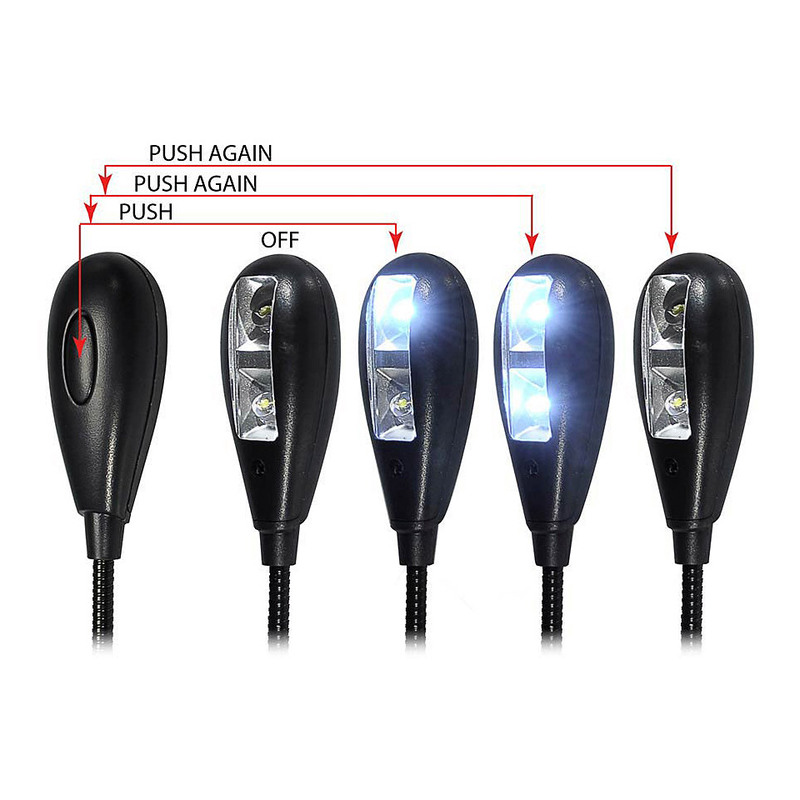 The 4 LEDs can be individually switched on and off by means of a press switch and the brightness can be set individually. 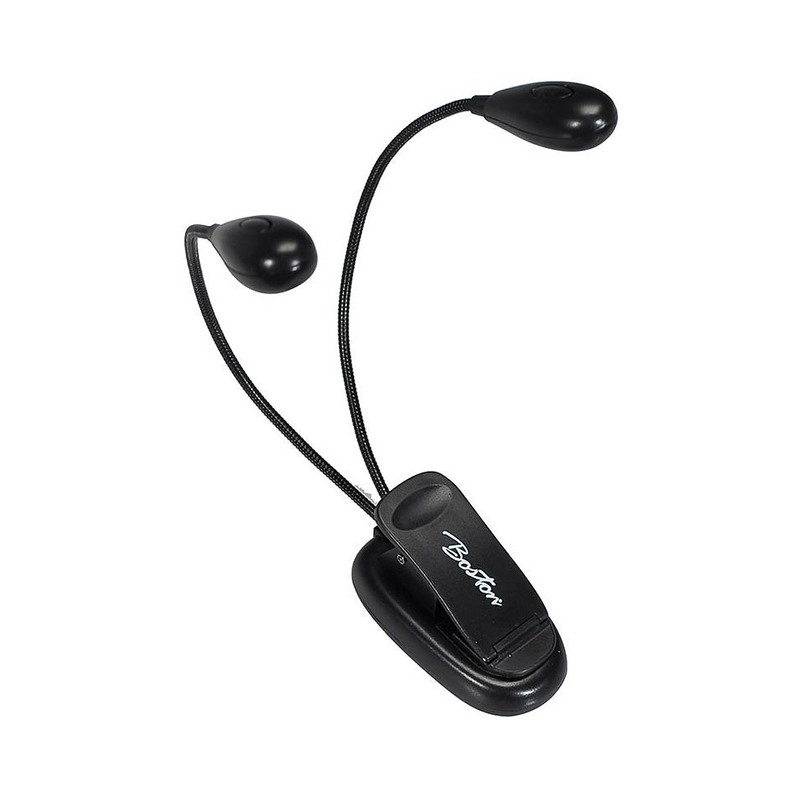 The two flexible goose necks can be conveniently positioned as desired. 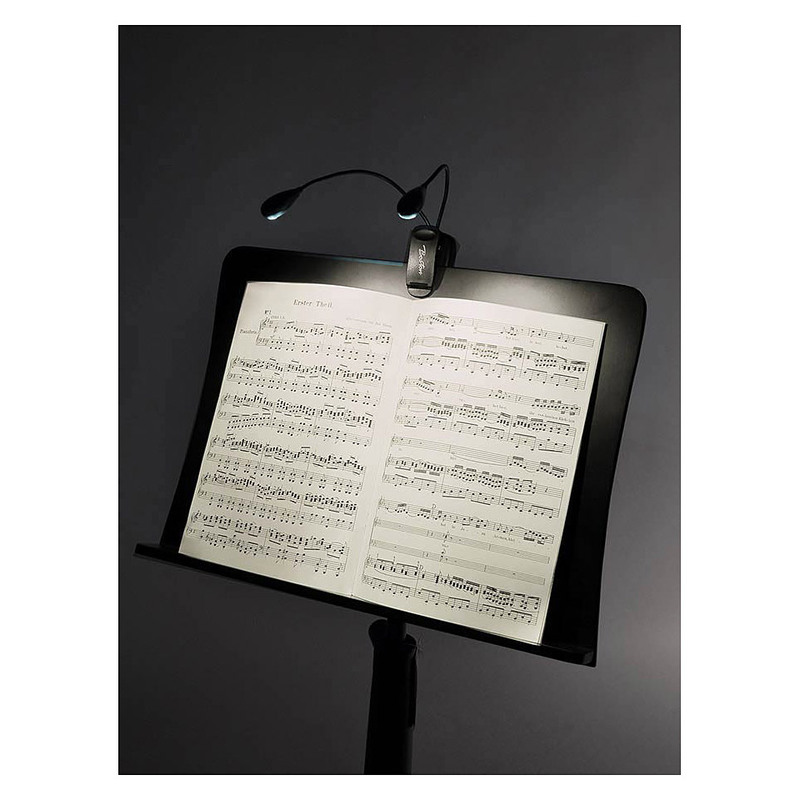 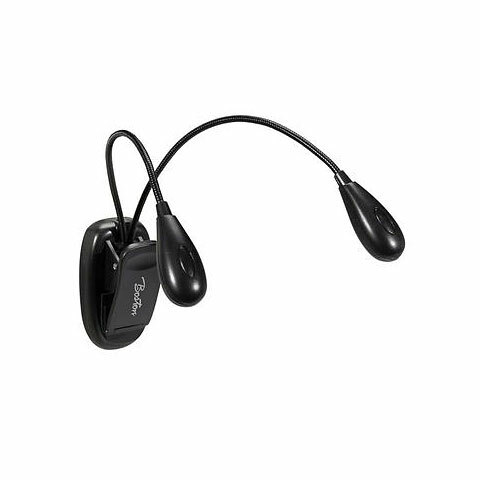 The clip can be used to attach the music desk lamp MSL-504 to all the usual notes and music stands. 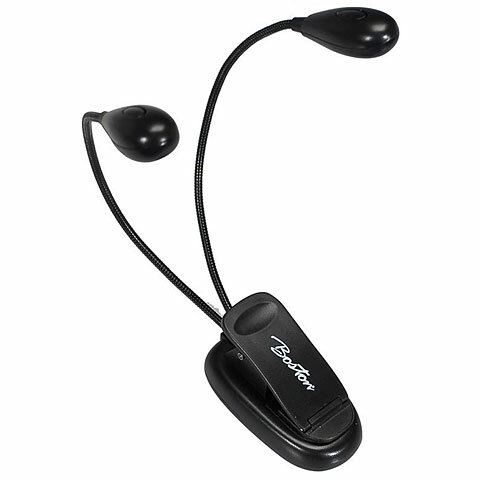 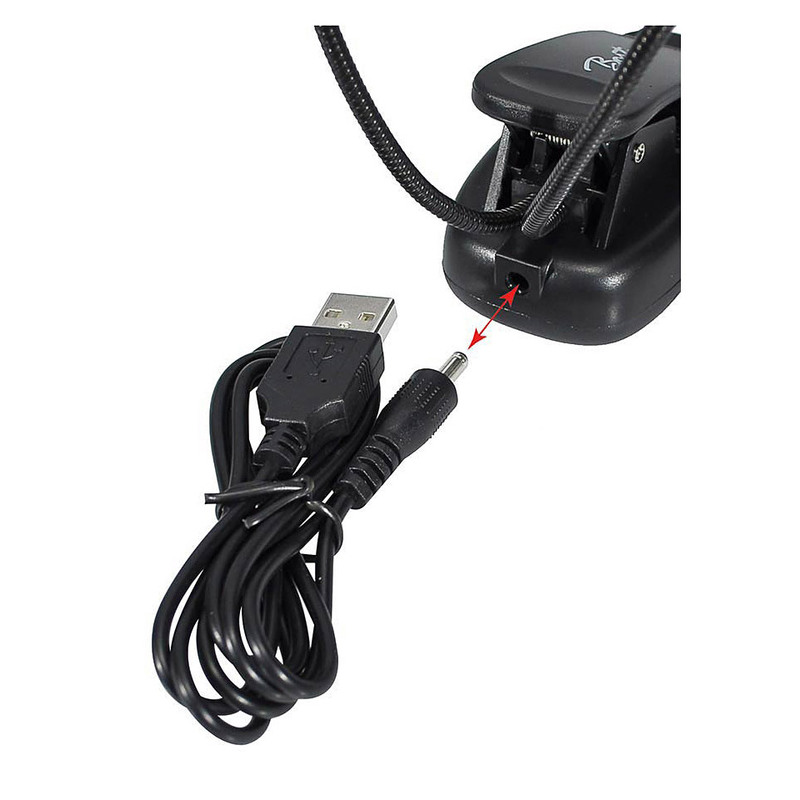 The delivery also includes a USB cable, so that the lamp can also be used on the laptop, PC or mixing console.